1 WHAT IS A BUSINESS PLAN AND WHY DO YOU NEED ONE? 2 HOW TO WRITE A GOOD BUSINESS PLAN? 3 WHY WRITE ONE PAGE BUSINESS PLAN? 6 WHAT IS A FEASIBILITY OF BUSINESS PLAN? 7 HOW TO WRITE AN EFFICIENT BUSINESS PLAN FEASIBILITY REPORT? 8 WHAT IS AN OPERATIONAL BUSINESS PLAN? 9 WHY IS IT IMPORTANT TO MAKE A BUSINESS PLAN OPERATIONS STRATEGY? 10 WHY MAKE MY BUSINESS PLAN? 11 WHY GET BUSINESS PLAN HELP ONLINE? 12 BUY BUSINESS PLAN ONLINE FROM PRO-PAPERS! Searching for the best place for preparing a business plan, you look through dozens of business plan writing services reviews spending hours checking each one. However, there is no need to waste your precious time anymore, as we guarantee you will not find a better option than Pro-Papers. What makes us so sure is the number of successful entrepreneurs that have started their business using a professional help of our team. And what we offer you is a detailed instruction that will tell exactly how to turn a raw idea into something worthy. We do not make loud claims. What we do is work for the result, and years of experience showed that our crew does it great. If you want your dream to stop being an idea and start making you money, Pro-Papers is always here to show you how to make your project work for you. A business plan (BP) is a paper that presents a certain idea, the way it will be implemented, and what it takes to do it. Any entrepreneur who wants to have his or her company running has to have a BP. No architect starts building a skyscraper without blueprints and calculations. Otherwise, the building eventually falls apart and damages everyone who was involved in a project execution and put time and money into it. In the case of a company, a BP is a lifesaving blueprint that helps to keep businesses from major failures. Every successful company has started from a BP or, in case it was lucky enough to get going without one, created it later to have a clear vision of the next steps that have to be taken to continue growing and prospering. Therefore, if you are a newbie in a business world, you need to have a really good plan to survive in highly competitive market conditions. Executive summary - shortly overviews the entire work, mentioning only key points and focusing on the details that are the most important to present. Company Summary - describes the company, presents the name, the logo, the location, and the story behind the idea. Product/Service - tells readers what you are selling; shows the problem you are solving for your customers and the way you do it. Market analysis - presents your research of the market, main competitors, and shows how you fit the niche. Strategy - indicates the actions you will be taking to run a company and serve the clients. Management - presents the team that will execute the plan and proves their credibility by providing a description of their professional background. Risks - expose possible problems that can occur at the implementation stage and your ways of avoiding or coping with them. Milestones - determine goals and exact dates they will be achieved. Finances - show approximate expenses and expected revenue, justifying each point with calculations and explanations. Appendices - include information or calculations that can be referred to in a plan, but are too cumbersome to be included in the body of the paper. All these sections are important to consider if you want to implement your idea confidently and qualitatively. However, not all parts should necessarily be in your BP. It is crucial to adjust it to the intended audience, and you may exclude some of the points if your readers find them redundant. It is recommended to examine each section in details for yourself and make notes or a draft of a business plan essay, so to say, to get a glance of a big picture and have some material to write the plan you need afterward. You can look up BPs of large and prosperous companies to understand how they have executed their ideas. Some of them will help you organize and present your plan better, and understand what parts you might be missing. If you cannot do a good research or are failing to calculate expenses, our specialists are always here to help you out. Pro-Papers has numerous experts that can work on any section of your paper and provide you with credible data. Do not hesitate to place an order and consult our professional business plan writers to make your work perfect. Do you have everything to build a successful business? If you do not have a BP, then the answer is negative. No smart person would put money and effort into a project that has no future. And how can you know it does if you have not thought about it in details? Every entrepreneur has an idea. However, even the best idea is useless without a good implementation plan. Business is all about execution, not a concept, and, therefore, if you want your employees, partners, and investors believe that you are a real businessperson, you need a solid plan. “What can help me with my business plan?” you may ask. A set of the understandable and smart guidelines from the specialists, of course! For your convenience, Pro-Papers has gathered the most useful tips to show you the best way to write a business plan. The thing all of the BPs start with is an executive summary. However, it is better to start writing it when you already have all important information on the paper and are ready to recap it. This section is considered one of the most significant as this is the first, and often the last thing people see while reading a plan. If you are trying to attract investors, you need to understand that you are not the only entrepreneur who is trying to do it, and investors do not have time to read all twenty pages of your plan. The only thing that can tell them about your idea briefly is an executive summary, and if it looks appealing and convincing, your papers get into the "yes" pile and may even be read fully afterward. Therefore, if you want to make a good first impression and stand out in the crowd of other venturers, you have to spend a decent amount of time preparing a great executive summary. Another thing important to focus on is a product or a service you will be selling. It is crucial to prove that people actually need what you offer, and you will be able to make money out of it. The good you are selling has to solve a certain problem on the market in a way no one has done it before. You have to present a demand, solutions that other companies have, and finally show yours and demonstrate how exactly they are different and better than the others. The market analysis will also prove the information you are presenting with the help of numbers and examples. This is a section, which shows that your idea is actual, and the whole project is feasible and will be profitable for you, your partners and investors if they contribute. Here you have to focus on the market and the place you are planning to take in it. It is important to show the key competitors and the ways you are going to turn their assaults back, to make everyone believe that your company will be compatible enough to survive and prosper even under the worst circumstances. Most of the investors will also want to see your strategy. It has to include your daily operations to serve clients and maintain the whole company. You may want to make a separate operational BP that will explain how you are planning to run a company in details and present even elementary actions that will be taken by each member of your team daily. Also, you have to show the goals you are willing to achieve and the ways you are going to make it. Present the milestones and describe each one with numbers, dates, and examples, to make it evident that you see your company's future and know what you will do to bring aims to life. It will be great if you include possible risks and then explain how you will deal with them. This information will show that you have researched the market properly and are ready to enter it. The section that most entrepreneurs find the hardest is finances. Some of them are either failing to present realistic data or trying too hard to calculate everything precisely. The truth is that numbers you will get after calculations will not be accurate. It is impossible to predict actual expenses and revenue. However, it does not mean you have to leave them out. Finance is a language of business, and you need to speak it fluently to be a good entrepreneur. As you cannot just play with numbers and make wild guesses, it is better to have info that will slightly differ from real, but will still help you on your way of building your own company. Implementing a BP is never cheap, and if you are attracting investors, they have to see how you will spend their money and if they can expect income from your project. The section that many investors find extremely important is management. Here, you have to present the team that will help you implement your project. These have to be credible specialists with professional background and outstanding abilities. Usually, a great team is a key to successful project implementation. Therefore, you have to present people, who will play the main role in a project execution, in the best light. If some of them worked in well-known companies or have stellar qualifications, this information will get you a sympathy of numerous investors. If some of them have only skills to show, try to present such people as geniuses with fresh and creative approaches. As you can see, it is extremely hard to write a great BP, especially, if you have not done it before. However, your time and efforts will pay off in spades, as there is a better chance that your idea will work and make you rich if you think the execution through. If you want to speed up the process and focus on the things you find more important, willing to find a specialist to “write my business plan for me”, leave the paperwork to professionals. Let Pro-Papers experts make your BP perfect and help your dreams come to life. WHY WRITE ONE PAGE BUSINESS PLAN? Starting own business is never an easy task. It is important to think about many details beforehand and consider most of the problems that may occur. That is exactly when a business plan comes handy. It is an on-paper strategy that helps to predict the success of a project. However, writing a paper for twenty or even thirty pages is extremely time-consuming. It may just slow you down and take precious months you could have used to build a company. The best way to be original, creative, and speed the process up is writing a one-page BP. It is very dynamic and can be updated in a day, as the business evolves really fast. Company's summary (specifies what you sell, to whom and what problem do you solve for the customers). Money aspect (shows prices and funding needs). Market (specifies the target market, its size, competitors and your benefits). Team (presents the key team members). Problems & Solutions (reveals the possible challenges and the ways to overcome them). Even though writing a one-page plan seems like a hard thing to do, there is an easy way to avoid it. Just purchase your paper from our company, and we guarantee that you will be satisfied with the work. Also, Pro-papers' writers can update or edit your current plan for a moderate price! There is a great percentage of new companies failing to survive their first year on the market. The ones that stayhave a great chance of collapsing in their third and fifth year. Also, some of them may have an extremely small or even zero revenue. And the main reason of such unfortunate situations is a badly elaborated business plan. It is important to understand what kind of BP is needed to start a certain project. Sometimes, it is important to make it big, when the company promises to be huge and accomplish plenty of tasks. But when it does not, there is no need to bury yourself under the piles of papers. The one-page BP is great if an entrepreneur wants to get to the actual work faster. It still has to be thought-out the same as an ordinary one would be. You may take notes to remember every point of it and afterward, generate a simple, focused plan. Our company will gladly provide you with a sample to help you in your future writing. If you are stuck at any point of the work, writers at Pro-Papers can always advise you on the further steps and complete the hardest parts for you. In order to understand how to structure a paper, it is crucial to know the purpose of writing it, especially when it comes to one-page business plan. There is no basic template, which can help you outline the work properly when you do not know the reason for writing it. Therefore, it is important to decide beforehand. Usually, one-page plans are being written for investors. They are extremely busy people, who are short on time, so when your presentation is brief and exact, it is a win for everybody. The main thing you have to focus on in such case is a significance of your brand and the income. Investors want to know that they will profit from your project, and the money is not wasted vainly. Therefore, the financials have to be clear and realistic, and your credibility will be unquestionable. One page business plan for nonprofits is one of the hardest to write. Nonprofit companies do not have any revenue, as they serve the higher purposes, such us helping bereaved or sick people, animals, kids, orphans, or protecting someone's rights, etc. However, they still need donors to fund their mission. It is important for such projects to be or get recognizable and likable in media and among the masses. Therefore, attention needs to be focused on a number of people who will receive help, the reliability, and dedication of the team. Some one-page plans are being written for sales. They may either predict future sales or be a strategy for their increase. The main things to be included are market analysis, customers' overview, competitive advantages, and financials. The plan has to aim for actual results and overview the milestones. Many entrepreneurs write one-page project plans for themselves. This is a smart move, as it helps to get a big image of the project and analyze it faster. It is the situation when it is up to the entrepreneur how to structure the paper and what to include. However, it still has to be neat and understandable to update it easily when the time comes. When you cannot decide on a purpose of writing or just need help making a business plan, our experts are always online to facilitate your life and complete papers for you. Custom your one-page BP with us anytime and get a stellar work that will successfully guide you through the project implementation. If you are in a hurry and cannot wait to see your idea work, Pro-Papers is at your service whenever you need it! Our company is the best example that good business plans actually work. We want to help entrepreneurs to fulfill their dreams too and build a successful business. Thus, if you have a perfect “My one page business plan”-like idea but cannot put it into words, let our team do it for you! In the recent years, we have accomplished dozens of one-page project plans, which have worked for their owners. Pro-papers are proud to be a part of so many prosperous companies. Each business writer in our team is a business plan expert with years of experience in preparing excellent papers. Our writers know exactly how to make your BP outstanding and creative. We can assure you that your idea is safe in our hands, and your confidentiality is guaranteed. Let our team make all of the researching, counting, and writing, while you can focus on your project entirely. WHAT IS A FEASIBILITY OF BUSINESS PLAN? A feasibility analysis of a business plan is a work that analyzes whether a specific project is implementable. All of the big and successful companies conduct a feasibility study before getting to real actions to ensure that their idea will be profitable. If you are a greenie and just getting started with your business, it is crucial to check if your plan is viable to understand if it is worth investing into. There is a huge difference between a feasibility study and a business plan. While the first one tells you if your business will work, the second one describes the way it will function. A BP may include some or all of the sections of a study to support the claims with real data. Executive summary - overviews key sections of a report. Product/Service - provides a precise description of a product or a service a company will sell. Analysis - adequately assesses projects viability using certain criteria. Recommendations - show final findings and give appropriate recommendations regarding feasibility. This example does not cover some of the major details, as they are individual for each idea. However, it gives a basic understanding of the way the work needs to be organized. You can look up a more specific template or ask our support team to send you a few that will fit your plan. Also, you may come up with a more original outline with the help of our professional writers. Simply ask our specialists to outline or “do my business plan for me” and let our experts conduct research and make your feasibility study accurate and organic. HOW TO WRITE AN EFFICIENT BUSINESS PLAN FEASIBILITY REPORT? Either you are a young entrepreneur or an experienced businessperson trying to enter a new market, the first thing you need to do before taking a certain project seriously is writing a feasibility report. You may have a fantastic idea, an outstanding product, and even millions of potential customers but it will not prevent you from a failure in a first few month if you do not think every detail through. The only thing that will show you real pitfalls and help your company stay afloat when you start it is a feasibility analysis. Therefore, you have to think of the parts that deserve your attention and may affect the project implementation the most. First and the most important thing that has to be researched is a market condition. The number of your competitors will not matter if you see that the market is on a decline, as there is no way for a young firm to survive there. Think about the nearest future: there will be no demand for your service at the market in a few years, or the market itself will be moved aback by new technologies. If the forecast is positive, the niche has to be large enough to fit your organization and let you get a decent revenue. Your product has to be unique, or have sufficient differences from others to make you competitive enough to stand against big corporations in the area. Hence, you have to research what your competitors sell to find the ways to make your company more attractive to the clients and build a few strategies to improve and develop your project. There are a few other things worth focusing on while writing a feasibility report for business plan. It is crucial to think of technological and financial risks you are taking, and, if you will have no other choice, the ways you can quit the business without losing too much. You need to calculate whether you can afford the project and implement it on time. Also, it is vital to understand the way you will work with clients step by step from them ordering and up to you shipping the product, and what kind of resources this process will require. You can find a lot more criteria for the analysis that will suit your idea, as the ones above will only show you a broad picture and will hardly give a precise final answer. Whenever you come up with a new project, do not forget to conduct a feasibility study for business plan before getting to the implementation. After you realize what it really takes to bring the idea to life and run a company, it will become clear if it is worth it and if you are able to manage your own firm. A thorough analysis of such amount of aspects is a very troublesome process. It may take months to finish, and there is no guarantee that the results you get will be correct. Hence, there is no wonder you may have an idea to “pay someone to write my business plan”, or at least the most complex parts of it. Sometimes, it is better to leave the hard and time-consuming work to professionals to be able to concentrate on other important things. Pro-Papers is exactly what you need in this case. We are a team of experts, who have completed hundreds of feasibility studies to prevent people with great projects from a huge failure during implementation. Our writers have necessary qualifications to conduct important research and make a thorough business plan feasibility analysis to provide you with an understandable report of high quality. We are online 24/7, so you can count on us whenever you think of a brilliant project. Let Pro-Papers help you to make life-changing decisions with confidence! WHAT IS AN OPERATIONAL BUSINESS PLAN? An operations business plan is a document that describes processes a company uses to satisfy clients’ needs. It may be a section of a BP or a separate piece if it covers numerous points and explains them in details. All of the operations project plans include two key sections: a daily operations plan, which describes what has to be performed to serve customers every day, and a list of milestones, which defines goals that have to be achieved within a certain period of time. Location – describes and analyzes the place a company will be located at. Equipment – shows the inventory you will need and the ways you are going to manage it. Supplies – tell how and where you will get the materials you need and discusses the reliability of vendors. Logistics – present the ways you are going to move or deliver products, materials, equipment, services, and other things necessary for your project. Production – describes the process of making a product or rendering a service. Sales – demonstrates how you are going to sell the product/service and make cash. Organization – shows the hierarchy of your personnel and describes main functions. Policies – present rules a company and clients have to follow to make cooperation pleasant and productive. Objectives – define milestones and dates when a company will reach certain levels of performance. These sections should not necessarily be placed in the same order as shown in the example of the structure. Some operations plans include a lot more points, but these are the basic ones, which will help you start analyzing the implementation process. If you need a more specific outline, you can search for a template that will be more suitable for your idea. However, if the concept you have is unique, you might “need someone to write my business plan” as outlining and presenting your original project might be a rather complex task. Experts from Pro-Papers will gladly help your brainchild to make it to the real plan. Purchase a business plan on the operations from us and let specialists take care of the paperwork for you. WHY IS IT IMPORTANT TO MAKE A BUSINESS PLAN OPERATIONS STRATEGY? Some of the entrepreneurs with new creative ideas think that they know exactly how their business will work. However, most of them fail to get it running in a first few month because of things they have not considered and the problems they have not seen coming. The only way they could have saved themselves from the defeat was preparing an operations part of business plan. It is the only thing that can help to see how the concept is transformed into reality and know what it takes to implement it. Therefore, if you want your idea to be executed properly and grow into a real company, you have to write an operations section of a business plan. It will make your company more efficient and effective in future. When you have a clear vision of the goals you want to achieve and the ways to do it, nothing will stop you on the way to success. People never put their time or money into the projects that exist simply as concepts. If you want your employees, management team or the investors to be sure that your idea is going to work, there is nothing that will show it better than a qualitative business plan operations section. When it is evident that you have thought every action over and constructed a reliable system, then any person involved in the implementation of your idea will be able to make a necessary contribution with full confidence. The operations planning process is very troublesome and may take months to accomplish. However, it is worth every minute spent on it, as in the end, you receive a solid foundation for managing your company. If you consider every point carefully, you will be able to provide your clients with the best service and receive a good revenue from every deal. You do not need to cope with everything on your own if you have hard times visualizing the operations of the firm and feel in need of assistance with writing a business plan. Pro-Papers is a BP writing service that will make you forget about any writing and focus on your top priority – creating a successful company. We have a team of best business plan writers who are ready to work on your case and provide you with an outstanding and realistic plan. Our support team is online 24/7 to make your experience with our company fruitful and comfortable. Order business plan from Pro-Papers and let the experts help you turn your dreams into the real income! WHY MAKE MY BUSINESS PLAN? Writing plans is extremely important in order to figure out and maintain an effective business strategy for your company. Generally speaking, BP writing means doing some calculations in regard to financial development, the growing popularity of a company's products and/or services, realization and success of upcoming projects, various programs for the future, and so on. Noting such data is simply necessary, because this information becomes some kind of a base that helps your project exist and evolve, and it makes your company's name recognizable, its products and/or services current. Basically, if your goal is to be successful in what you do, writing the best business plan and implementing it should become an essential part of your life from now on. Most of the time BP writing does not happen to be exclusive. It means that such custom written papers are rarely prepared for someone in particular. Usually, the companies write it for each other, and sometimes it is even appropriate to share the finished or semi-finished work with others. Also, it is clear that business plan assignment for university is not a rare case. Teaching specialists in certain spheres, some facilities try preparing students for being entrepreneurs, and not just workers in the specific fields. And while business plans for college students are rather uncommon assignments, there are multiple programs like MBA that request their students to create such projects for alleged companies. That is why we are here, ready to help everyone, whether student or entrepreneur, who needs professional academic paper help. WHY GET BUSINESS PLAN HELP ONLINE? The main reason why you should consider using our business plan assignment help is a simple fact that this kind of document makes a huge difference to your academic and/or business career. Therefore, it is better to avoid unnecessary risks when it comes to such serious things that could greatly influence your future. Our company's skilled academic writing team is always ready to provide you with effective paper help and create a business plan online for you according to the personal requirements. The benefits of trying out our writing service can definitely make your studies and careers a lot easier to maintain. Not only we offer you excellent custom written papers for reduced prices, but also our customer support center that works 24 hours a day, 7 days a week. The members of our professional academic writing team will always answer all your questions and help you to solve all of your problems when you are trying to figure out how to write a good paper before the deadline. Our company provides its customers with an excellent writing service. All of the hired writers are incredibly talented specialists in various fields of study, business included. 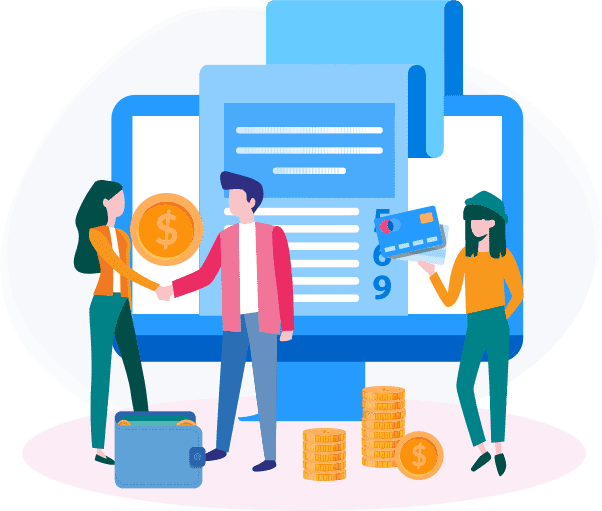 And hence, BP writing is a regular order for our team, and we have enough confidence to state that we perfectly understand the structure and main purpose of such custom written papers. We can also guarantee that all the proficient writers who are involved in our business writing service are native English speakers so that they always make sure that there are no grammatical and stylistic mistakes when our customers buy papers from us. That is why there is no need to be worried about the quality and authenticity of pieces of writing fulfilled by our team. Everything our writers produce is 100% original and free of plagiarism. We deeply respect all of our customers; therefore, we always care about their academic careers and also, make sure that they are satisfied with every order. Our company would never jeopardize the professional relationship with its customers. It is clear that our clients expect to get a flawlessly written BP that would be properly formatted afterward, and we are ready to meet their expectations. BUY BUSINESS PLAN ONLINE FROM PRO-PAPERS! You may have an innovative and superior idea, but the ugly truth is that the world cannot care less. People are busy living their own lives and running their own companies, and an idea is hardly something that can make their worlds stop spinning. However, a nice project or a great plan is. Why is there a difference? Imagine a person, who has a Ph.D. in literature, and who you barely know, told you he wants to build a spaceship. You would think he is out of his mind and has no real goals in life. But what if that person came up to you with a blueprint and precise calculations made by professional physicists and mathematicians saying that he only needs materials and knows where to find them? You would definitely become interested. For potential partners, investors, and other people in the niche, your idea may sound as crazy as a spaceship building. However, if you show that you know exactly how to implement it and make it work in practice, they will start taking it seriously and can even help you execute it. Hence, if you have a well-defined idea, the only thing that can make it real is a good business plan. People with amazing ideas have always been the ones who made a change. However, a modern world has its own requirements, and nowadays, having an idea is not enough. It is important to be strong, competitive and know how to make your plans work. Also, it is vital to have your every action written on paper. If you do not feel like you can make a good research, accurate financial calculations, or you just want to start your business faster, there is no need to make a pig's ear of a plan, as there is a way to do it both quickly and qualitatively. Pro-Papers is one of the best writing services in the USA, Australia, Ireland, UK, and many other countries, serving clients all over the world and providing quality business plan writing help daily. Our professionals have been writing plans for businesses for years and know how to make each one a titbit for investors. The experts will gladly help you to put your idea on the paper, and prepare a great implementation plan that you can adjust in the process. You will be able to communicate with a specialist and discuss possible ways of presenting each section in a paper or a presentation. If you already have a business plan, but you are not sure it is appealing or includes a precise data, Pro-Papers offers a great editorial service, which will help even the plainest plan become polished and classy. You may not worry about your personal information or project details, as we keep all of the data private and never disclose it to any third parties. We have very strict policies, and our writers will not be able to use or publish your work under any circumstances. We know it seems like good BP writing services cost a lot, and it is close to impossible to find and hire business plan writers for cheap for your project. However, Pro-Papers is trying to make writings affordable for everyone. Therefore, we offer a wide range of discounts and special offers that will help our clients save some money and still receive high-quality works. Our support team is always here to answer your questions and provide you with necessary details. Pro-Papers is available 24/7, so if you had a great idea in the middle of the night, do not hesitate to share it with us! Write your business plan online with our custom writing service today to become a businessman tomorrow!